Transfer from Hue to My Son Sanctuary by car will take around 3 hours (127 kilometers) and another hour (39 kilometers) to get from My Son Sanctuary to Hoi An. The road from Hue to My Son to Hoi An has the most breathtaking view in Central Vietnam. 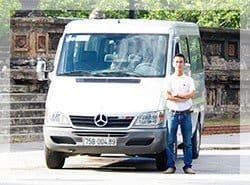 Traveling from Hue to My Son sanctuary Hoi An by private car with professional driver is safe, convenient and affordable and also give you a chance to know more about the local life, Vietnam Culture! Free of charges if you ask the driver to stop on the way for taking photos, having lunch, drinking Vietnamese coffee. 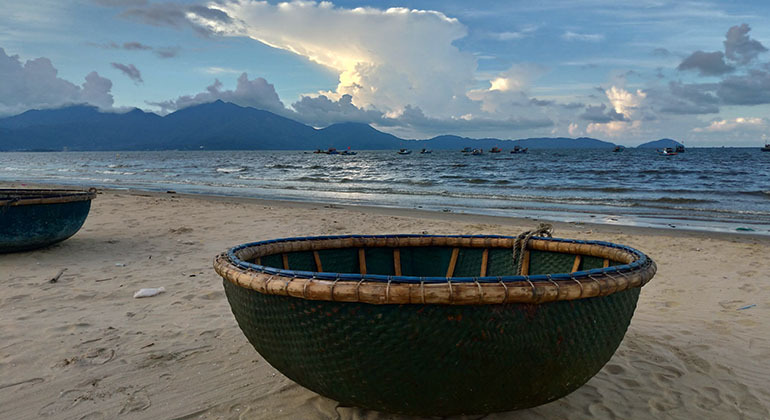 Unlike taking the train or bus, traveling from Hue – My Son – Hoi An by car makes this possible! Transfer Hue to My Son Sanctuary to Hoi An by car is flexible around your needs! Join us and take the opportunity to see the unforgettable mountain and coastal scenery. Hai Van Pass – This breathtaking 21 kilometer road winding along the mountain side between Hue and Danang is a must-see. “Top Gears” Jeremy Clarkson labelled it as “a deserted ribbon of perfection – one of the best coastal roads in the world”. Fantastic photo opportunities at the peak of the pass when traveling from Hue to Danang by private car (Note: You won’t fully experience the Hai Van Pass when traveling by bus or train). My Son Sanctuary – is the holy land of the ancient kingdom of Champa. It is recognized as a Cultural Heritage site by UNESCO in 1999. My Son Sanctuary reveals secrets of the ancient Hoi An dwellers, the Cham and at the same time fascinates and baffles archaeologists. My Son Holy land is an attractive destination not only for domestic but also international tourists to visit and learn about the culture, history, and architecture of Champa Ancient Kingdom. Ba Na Hills Danang (upon request) – Sun World Ba Na Hills Danang has the Golden Bridge as the newest addition to its wide array of famous attractions. The Golden Bridge became viral upon its opening last June 2018. 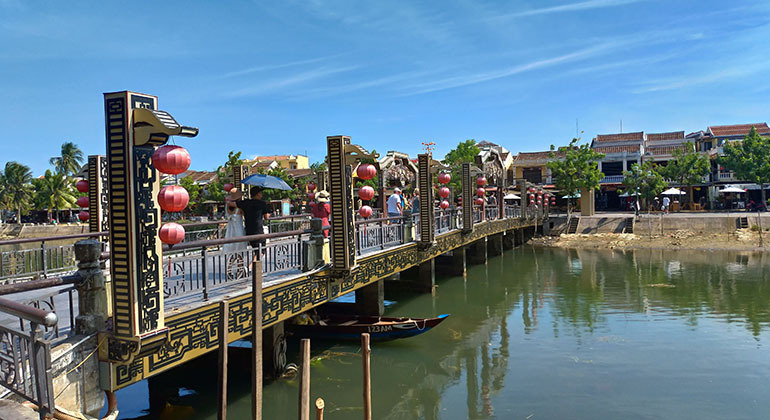 After your My Son Sanctuary Day Trip, our experienced and friendly driver will drive you to Hoi An city center and drop you off at your hotel! 1. Does your company have limited time to visit if we want to rent a private car from Hue to My Son Sanctuary to Hoi An? – For the private transfer such as Hue to My Son Sanctuary to Hoi An, that price per car not person which included an English speaking driver; 24/7 chat, email or call support; toll and airport fees and charges, door to door service; free Wi-Fi on board and bottle of water. 3. How long does it take from our hotel in Hue to My Son to Hoi An by private car? The transfer from Hụe to My Son to Hoi An, it takes about 3 hours if you go direct but if you want to stop for taking pictures at many places on the way it would be longer than. And actually it depends on how long you spend time for each stops. 4. What happen if unfornately we canceled the transfer from Hue to Hoi An with My Son sanctuary? 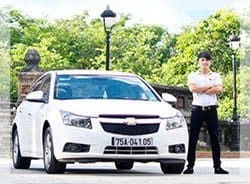 You can cancel your booking without any fees charge with the private car from Hue to Hoi An with My Son but only for one day before your trip starts. After that time, you’ll pay for the fee charges. 5. Does your driver can speak English if we want to know something during our trip from Hue to My Son to Hoi An by car? Yes, they can. We are always so proud of our drivers who can speak Basic English communication or better but they are not tour guides so they have limitation. 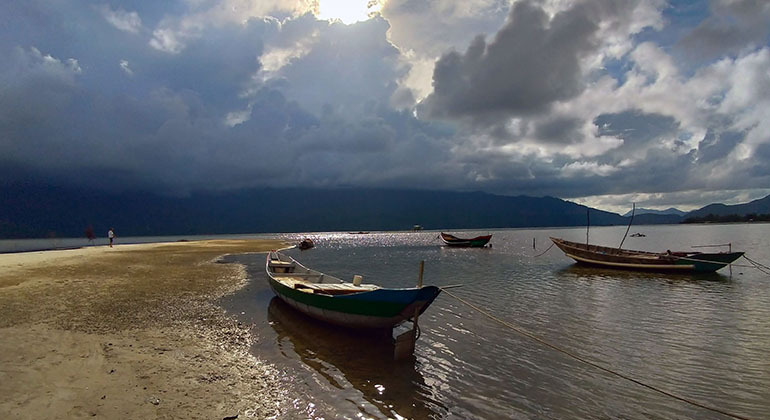 If you take the private car from Hue to My Son to Hoi An, you will stop at Lap An Lagoon, Lang Co Beach, Hai Van pass, Marble Mountains and our drivers also can give you some information about each place. We will be continue delivering excellent services for you. 6. Where will we meet our driver for the trip to Hue from My Son to Hoi An? With Hue to My Son to Hoi An transfer, all drivers wear our company uniform and will inform your hotel reception upon their arrival. The booking confirmation email also states information regarding pick up location, time and date of our rental. In case you are not still able to reach the driver or locate the office, you can anytime get in touch with our support team via call or email. My wife and I took the trip from Hue to Hoi An via My Son sanctuary. Our driver was Truong, who was really excellent. Truong was very knowledgeable and gave us a real insight into Vietnamese culture and lifestyle. The drive was long but Truong drove at a good pace to ensure we got what we wanted from the trip. This was a good trip and a fantastic way of seeing some fascinating sights. 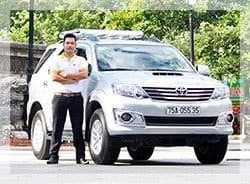 I used this company for a trip from Hue to My son by car and it was really good. The driver was knowledgeable and friendly. I am a solo traveler, so I really appreciate a driver who can communicate with me and show me some information about the places. Besides My son holy land, He also stopped along the way for me to visit Lang co beach, Hai Van pass, and Marble Mountain. There were even wifi, water and cold tissue in the car, so even it was a long trip, I still felt very comfortable. I will contact you again for my other trips in Vietnam. 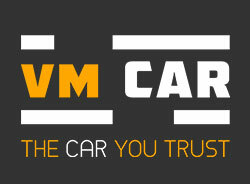 I and my friend booked a car from Hue to Hoi an via My son with VM Car. It was an amazing drive with our friendly driver, Nick. He showed us many places on the way such as Lang co beach, Hai Van pass and Marble Mountain. He also recommended us a very nice restaurant in Da nang and we had a good lunch there. Nick waited for us 2 hours at My son and took us to our hotel in Hoi an safely. We arrived at hotel at 6pm. It was really a long trip, but we very enjoyed. Thank you so much Nick, for making our trip a memorable one. Hope to see you again! My husband & I booked a private car with VM Travel to pick us up from Hue to Hoi an with My son. It was a fantastic drive with our very nice driver, Henry. He stopped for us at several scenic spots on the way such as Lang co beach, Hai Van pass, Marble Mountain & recommended a beautiful restaurant for lunch in Da nang. The trip with My son holy land took about 8 hours, but we really enjoyed it. We arrived safely in Hoi An after a long and funny day. After this trip, we decided to book some other trips as well. We will recommend your services to our family and friends. Our transport from Hue to My son booked from VM Car was fantastic. The driver, Nick, picked us up at our hotel in Hue and we started the trip at 8am. He was very friendly and had a very good English. He could tell me many things about his family and country. The highlight in the trip is My son holy land. Besides, He also stopped at many other sites for me to visit and take photos such as Lang co beach, Hai Van pass and Marble Mountain. The trip takes about 8 hours and we were dropped off at our hotel in Hoi an safely. We really enjoyed our trip with Nick. A great service! Highly recommended!